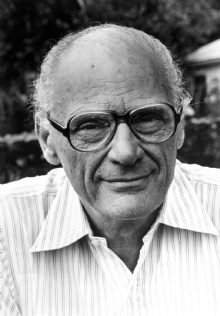 "Maybe all one can do is hope to end up with the right regrets"
This quote is written / told by Arthur Miller between October 17, 1915 and February 10, 2005. He was a famous Playwright from USA, the quote is categorized under the topic Life. The author also have 34 other quotes.